Back in October I wrote a post about a website that was charging a monthly subscription for access to a vast library of pirated ebooks. That site was GoodEreader.com. I'm writing a follow up post today to tell you that not only are they still pirates, they also like to tell whoppers. Shortly after I wrote that post I got an email from the pirates. They tried to convince me that they had reformed. The email claimed that the piracy was all on the part of one forum admin, and that the rest of the team had fired the admin and GoodEreader.com had gone straight. A few days ago GoodEreader.com started trying to get a thread over on MobileRead deleted - a thread which discussed their piracy. They made the usual claims about having cleaned up their act, and they started bugging the MR staff to delete the thread. MR has a policy against removing content, so it wasn't going to happen. But I soft deleted my post on this blog. I really thought they had changed. Unfortunately for them, someone pointed me at their new pirate site EbookNovel.com, and I learned that both sites accept money through the same Paypal account. GoodEreader.com offers tech support and other services, and EbookNovel.com collects a monthly membership fee. Payments for both sites go to the same company on Paypal, Starbreeze Media. Oh, and back in October I also paid this same company for a 1 month membership fee. That was their one chance to prove they'd gone straight. Now that I know they will say anything to protect their crimes, I know better than to ever believe anything they say. P.S. Some might wonder why I single this pirate site out, given that I am otherwise ambivalent to piracy. The answer is simple. This is a large-scale commercial pirate website. Money spent here isn't going to creators, which puts this site in a special category (apart from everyone who just gives it away). So if they ran a website which hosted torrent files for copyrighted books, making lots of money off of advertising, I take it you wouldn’t have a problem with it. I have most adverts blocked, so it didn’t occur to me to think about them. Well that didn’t take long. Good3dtv.com took down the link they had to EbookNovel.com. Indirect money is another thing. There are serial killers who make money from their crimes giving interviews in Talk Shows, or having movies made after their acts. It’s the same here: the money a robber makes from the bank he steals from is bad money. The dollars he makes writing his memories is pure as water. 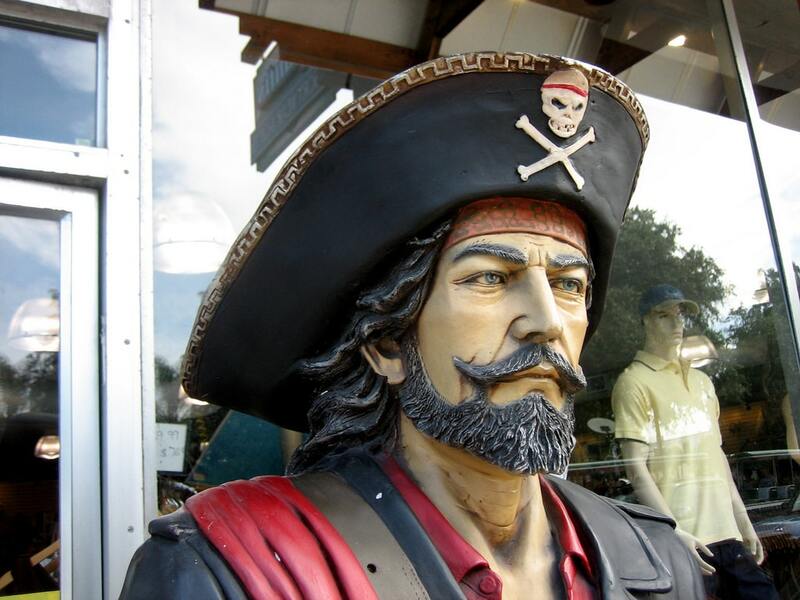 So goes for pirates: the bad ones make money directly from their illicit activity. The smart ones work for free and make money from lecit sources. Sorry but criminals often have have civil judgements against them that requires them to turn over book profits to their victims. Just ask O.J. The fact that they pirate ebooks is only half the story. Have you ever checked out their “partner” ebook reader store? They sell ereaders and tablets for way above MSRP to unsuspecting people that don’t know any better. They sell the Kindle WiFi for $189–$50 above, plus shipping, which is free if you order from Amazon. They’re selling the 9″ Pandigital for $299 when you can get it for $199 elsewhere. That site is such a rip-off. I feel sorry for all the people who are new to ereaders and don’t know these aren’t the real prices. The EbookNovel.com site is already indication of seriously illegal activity, but this particular comment on the $189 price for WiFi-only doesn’t mention they include a DVD of video- tutorials for the added $50. I’ve seen a couple of the tutorials at youtube and wouldn’t recommend that combo myself but am just adding some info here. I’m confused. I’ve been to that site and I’ve never seen a subscription service at all. It’s a blog / podcast site from what I can see. I do not see anything you talk about either there is no info on services about it, are you sure you got your facts straight? It sounds like you are just hating on a rival e-reader site. Now that’s interesting; they took the paypal button down. But it doesn’t change the fact that their about page mentions Starbreeze Media, or that both sites also have the same Google Adsense account. It would be nice if you had the same policy as Mobile Read about removing content since I have seen you remove comments before. It has been awhile since I had looked at anything on Good E Reader except for their Blog posts and watch an occasional video. That can be very annoying since Markus has such a nasally voice to listen to and he emphasis with a high pitch at the end of his sentences. I know before most of their forums were locked and you had to be a paying member to access them. I am guessing that is where the pirated goods were. Since I don’t pirate or condone pirating, I never would pay for their stuff. Sounds like someone spends allot of time investigating rival sites to try and discredit them. I use the site allot and find their blog stuff compelling. I keep trying to look at the things you mention and they are not there. I just checked on your IP address, and you are using the same on as the last person to anonymously defend this pirate site. I’m not at all surprised to see that you are located in Burnaby, BC, Canada. Burnaby is a suburb of Vancouver, where Starbreeze Media is located. Coincidence? I think not. For a new ebook subscription site check out http://www.muzereader.com, unlike this other site, we’re actually working with publishers for ebook content. We’re working with several large publishers and well be launching in a few months. Just to follow up on these pirates, they also own and operate a satellite tv piracy website called goodfta… I dont want to link to it but if you google it… The 2 involved in the piracy are Peter Carotenuto and Mike Kozlowski. You can also see that they try to hide from their credit card processor by processing payments through another website called jasonbookclub. These guys are crooks, cheats and scammers! JasonBooKClub looks like a pirate site. It’s a pity we can’t prove a connection. If you click on subscribe from their goodfta site it redirects you to another page to sign upto satellite piracy codes on jasonbookclub… direct connection. jasonbookclub (dot) com/good.html selling satellite piracy codes. Also, the youtube video from their goodfta blog (just click blog from goodfta) and there is a youtube video with these 2 jokers talking on it. If you listen to their videos from goodereader its the same 2 people. Just goto the blog on that goodfta site and play the youtube video they have and listen to any of their youtube videos on goodereader. Easy to hear these are the exact same 2 pirates still in the piracy business.